D&Z completed a large-scale boiler nose tube replacement ahead of schedule at a plant in the Northeast during their planned spring outage, leading to kudos from the customer and the award of additional scope on-site. The original scope included replacing 264 boiler nose tubes and installing 88 new panels. “In order to execute the project requirements, we employed eight weld teams on the boiler nose and two weld teams on each side of the boiler walls,” said the Project Director. The customer was pleased with the on-site team's work, providing additional work to D&Z on the boiler’s seal box. 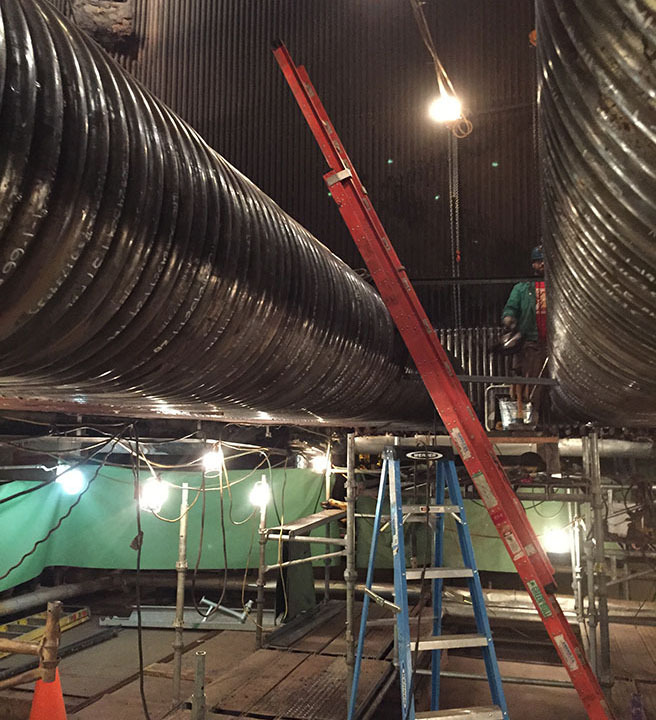 The team installed 20 sidewall tube panels on the lower side wall seal box on both the right and left sides and a 12 foot section of the boiler hopper seal box that had to be fabricated on-site. They also replaced the grating system with a new one, re-bricked the bottom of the seal box, and finished with sanding the bottom of the seal box.